Greenville-based Website Pipeline has been selected as one of the 20 fastest-growing small companies in the state of South Carolina, known as the “Roaring Twenties.” The Roaring Twenties awards are presented by SC Biz Magazine annually at an event where South Carolina’s top business leaders gather to celebrate the fastest-growing companies in the state. The 2015 Roaring Twenties event will be held on October 28th in Columbia. Website Pipeline will also be profiled in an upcoming issue of SC Biz Magazine alongside the other Roaring Twenties honorees. 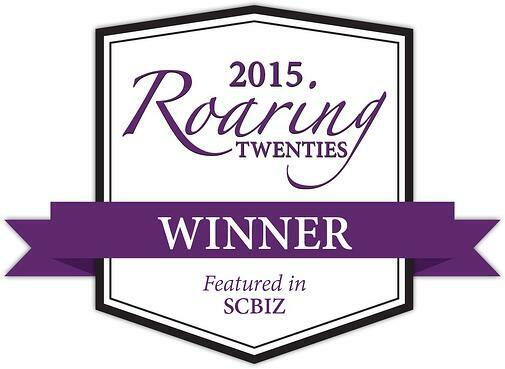 This is the first year that Website Pipeline has been chosen for a Roaring Twenties award. For wholesale and manufacturing companies using Sage ERP and Microsoft Dynamics ERP systems to manage their business, Website Pipeline’s suite of cloud-based e-commerce solutions helps those companies get, keep and grow more customers. Fully integrated with Sage ERP and Microsoft Dynamics ERP platforms, Website Pipeline allows customers to do business with your company the way they want: anytime, anywhere, on any device. Using the ERP system as the back office, Website Pipeline is the front office system for customers and sales reps.